My family's visiting for a while. My niece's here too and that means two toddlers close in age(4 months apart) are under one roof 24/7. Oh boy..Surprisingly though, it's going pretty well now. I have to say, first few days weren't the easiest but now they are used to each other. But hands down, twin moms are total super moms. My niece is a little picky when it comes to food and that means I need to come up with more kid friendly menu. And this lemon mayo shrimp got her approval. I used to make this a lot when I was in high school. This was one of my favorite Chinese dishes. This time, I made it with meyer lemon, it gave extra sweetness to the dish than regular lemon. To be honest, this is better than restaurant version- unless it's some high end Chinese restaurant. 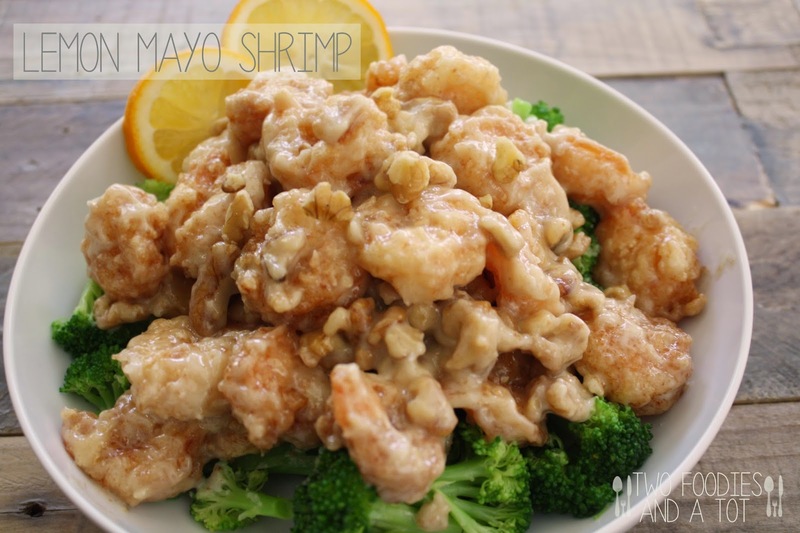 Better quality shrimp and less batter. Here's how you make these sweet, creamy and tangy little guys. 1. Mix all the lemon mayo ingredients and set aside. 2. Season the shrimp with salt and pepper and mix well with egg white. Add corn starch to it and coat. 3. In a small sauce pot, heat enough oil to cover the shrimp and fry the shrimp for about 2minutes each batch. I fried in three batches and used about 2 cups of oil. 4. 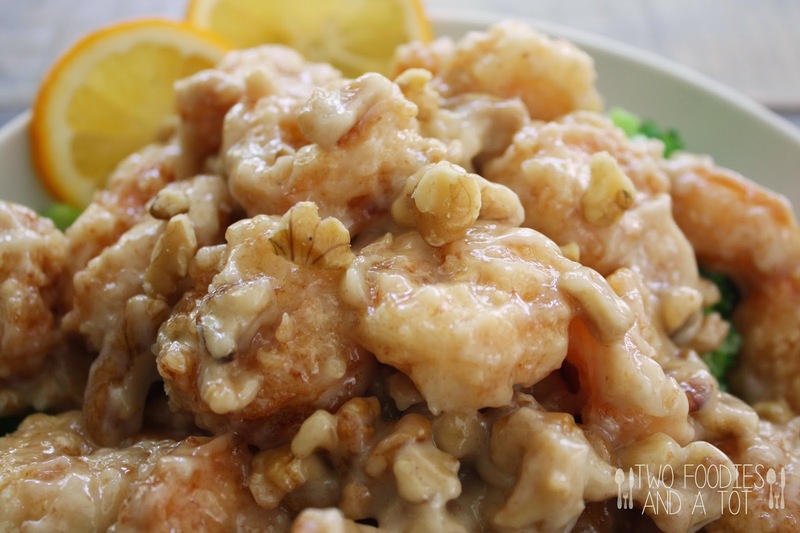 In a large bowl, mix walnuts, shrimp, and broccoli with sauce and serve.